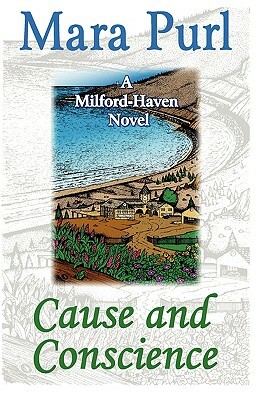 Haven Books (NJ), 9781584360049, 544pp. Five women, each trying to create the next chapter of their lives, are tired of feeling guilty. They begin to examine conscience as both an irritation and a tool for guidance. The issues they face have the potential to bring release, but also conflict and pain. What is the function of conscience? Is it primarily a deterrent to wrong action, a reminder of guilt? Or does conscience have a higher purpose? Discuss Samantha's reflections on this theme in her journal, the final chapter of Cause and Conscience. What is the nature of creativity? When a person creates, is he or she discovering something that already exists, or making up something which has never existed? Aside from Miranda, who are the creative individuals in the story? What is the artist's process? Is it vital to be eccentric and anti-social to be a true artist? Which is artistic integrity? Does Miranda have a more pristine sense of ethics, or does her new mentor Blake? How does being the child of an alcoholic parent affect a person's self esteem? Is Susan justified in her rejection of her father? Does this issue have added complexities for Native Americans? Does being handicapped affect a person's ability to have a relationship? Or is physical disability irrelevant to how we relate to others? Is Tony and Sally's relationship stronger now than it was when they were young? How has Zack's accident affected him mentally? Was he guilt-ridden before the off-shore oil rig disaster? Or did his brush with death reawaken his conscience? How has a near-death experience affected you or someone close to you? Who would you say is one character in the story who has no conscience? Can someone be a good person without a conscience? Does everyone, in fact, have a conscience – some just bury it better than others? Mara Purl has been described as a "hyphenate" – a writer-producer-actor-musician. How does her multi-disciplinary background in the arts appear in her novels? Why is this book called Cause and Conscience? Is this a reference to Samantha's guilt about her lost child? Does it also apply to Zack's turmoil regarding his two relationships? When in your own life did you grow as a result of wrestling with your conscience? What did you learn about yourself?